The construction of the Parthenon started on 447 BC and finished on 438 BC. The decorations of the temple continued for 6 more years until 432 BC. It was build by the architects Ictinus and Callicrates under the supervision of Phidias a famous sculptor by that time. 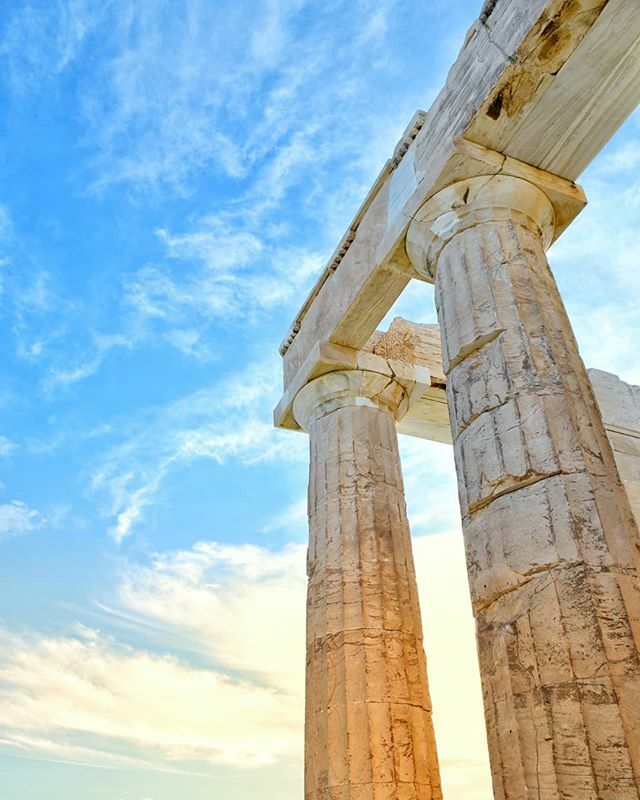 Today is considered one for the greatest examples of the ancient Greek architectural genius. An interesting fact is that the largest expense in constructing Parthenon was the transportation of the marble stones from the mount Pentelicus which is located 16 kilometers away from Acropolis. Photo taken at Parthenon, Acropolis, Athen, Greece. Tagged athens, athenslife, athensvoice, doyoutravel, expression_greece, greatgreece, Greece, iamtb, igersathens, igers_greece, ig_athens, in_athens, lifo_greece, loves_athens, mysticathens, mysticgreece, thegreekblue, topathensphoto, topgreecephoto, travelawesome, travelbloggeres, traveldreamseekers, travelgr8, travel_drops, visitathens, visitgreece, wu_athens, wu_greece.